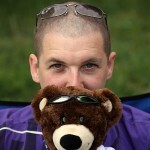 In these final hours before departure, which are both anxious and exciting, we are very busy packing our stuff. We are already pretty experienced in motorcycle traveling, so we know rather well what we want to take and how best to pack it all. But other people seem to be very curious on how it works and how much you can take on a motorbike. So I decided to take a few snapshots while packing. 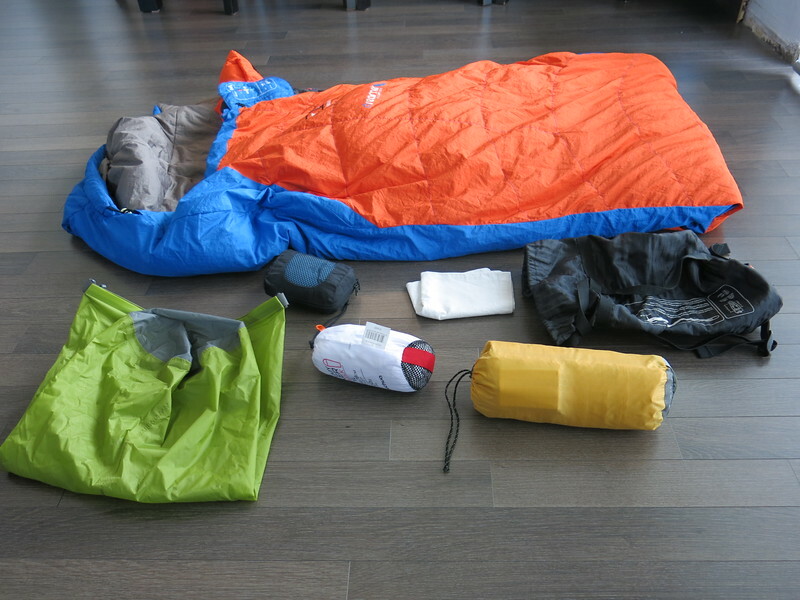 First off, our sleeping gear. We split that between us, carrying all of our own stuff. 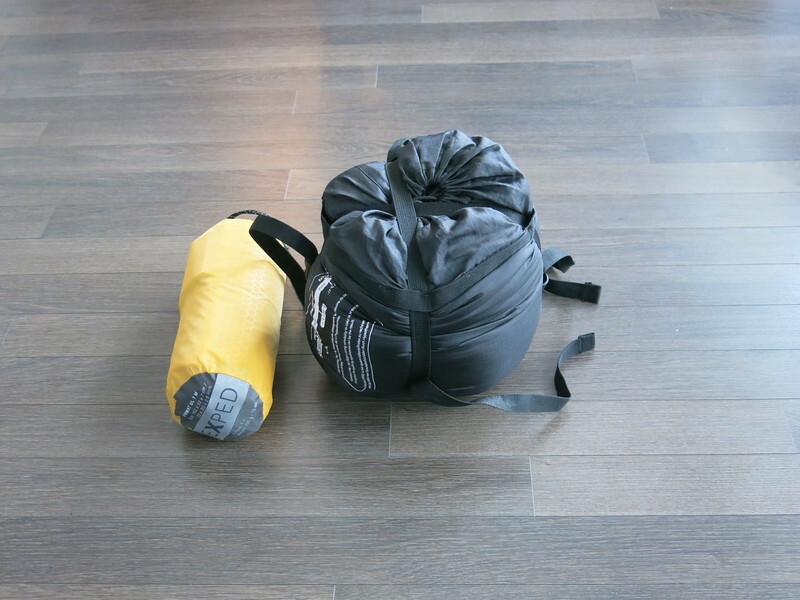 I carry a Millet Down/synthetic hybrid sleeping bag that is warm enough for me even in cold conditions. 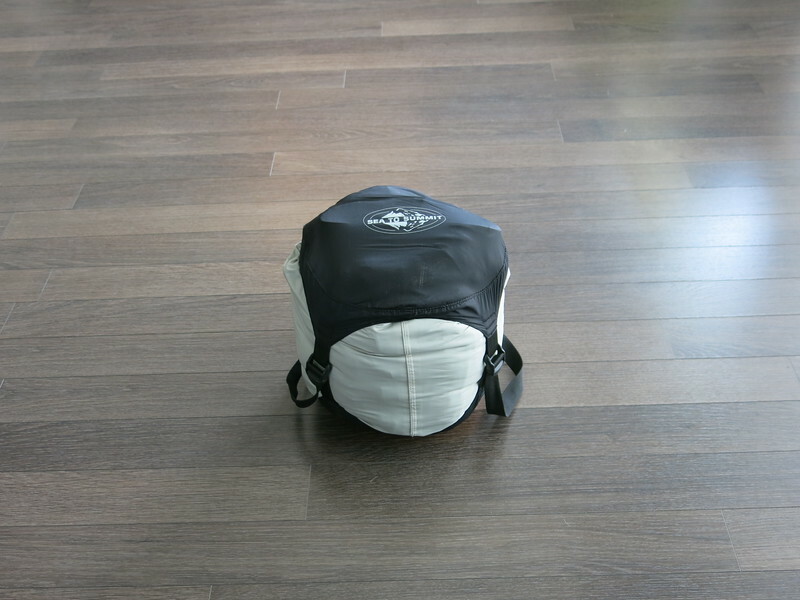 It also packs nice and compact in the compression bag that comes with it. Besides that an inner liner that is used both in extreme cold conditions inside the Millet and in very warm conditions on its own. 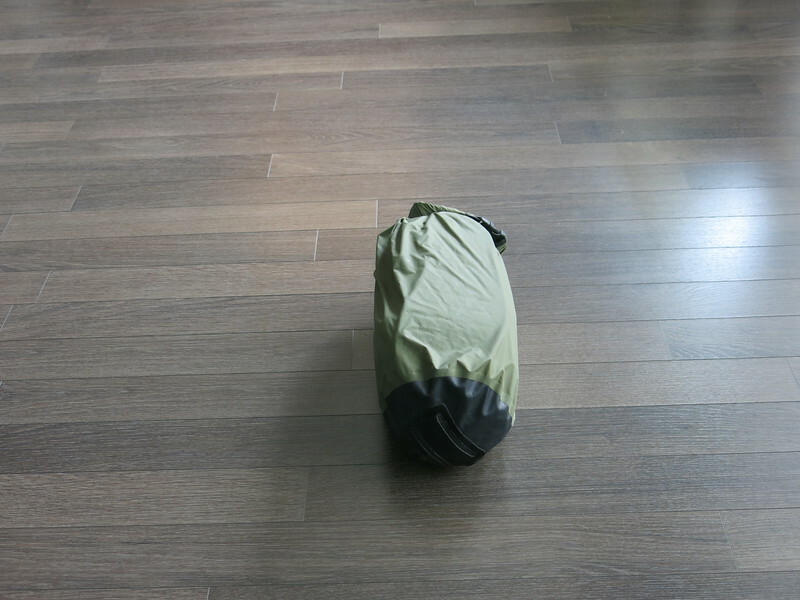 Another very compact liner is used as a cover for the Exped Synmat UL7 air bed. And to complete the set a small cotton pillow case that is filled with either towels or clothes. It all packs down to not much at all. Clothes are limited as well. You don’t really need more when you’re going away for months than when you’re going away for 1 week. Just wash everything along the way. 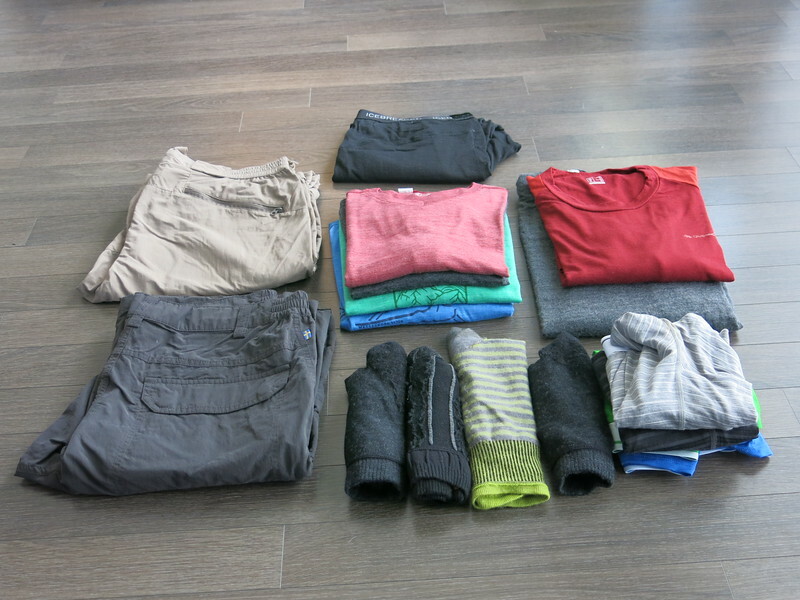 Here’s 2 pair of zip-off pants, merino thermal underwear, 4 merino shirts, 2 merino long sleeves, 4 pairs of socks and 4 pairs of underwear. In addition to what I’m wearing while riding. It is merino all the way, because of its thermal properties in all kinds of weather and because it doesn’t smell bad as quickly as synthetic stuff. Dries rather quickly as well. 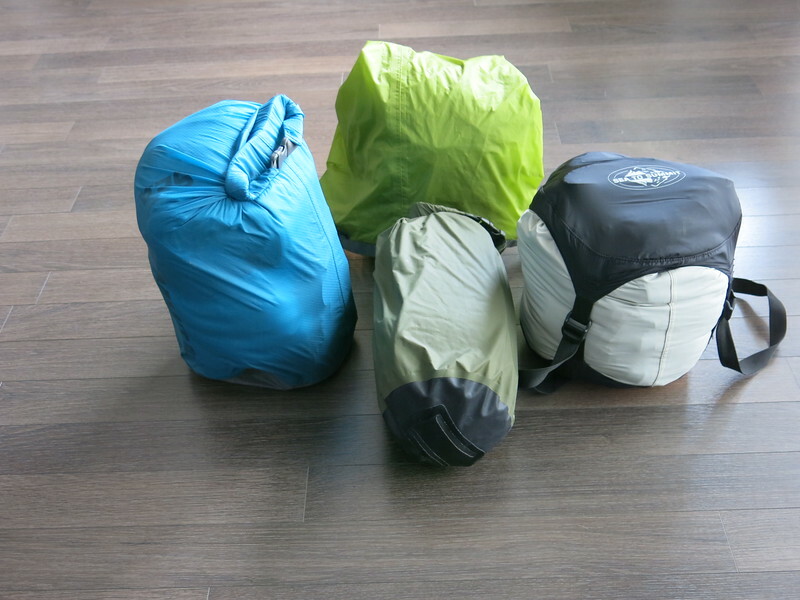 And the clothes all go into a compression dry bag. The footwear is limited as well. 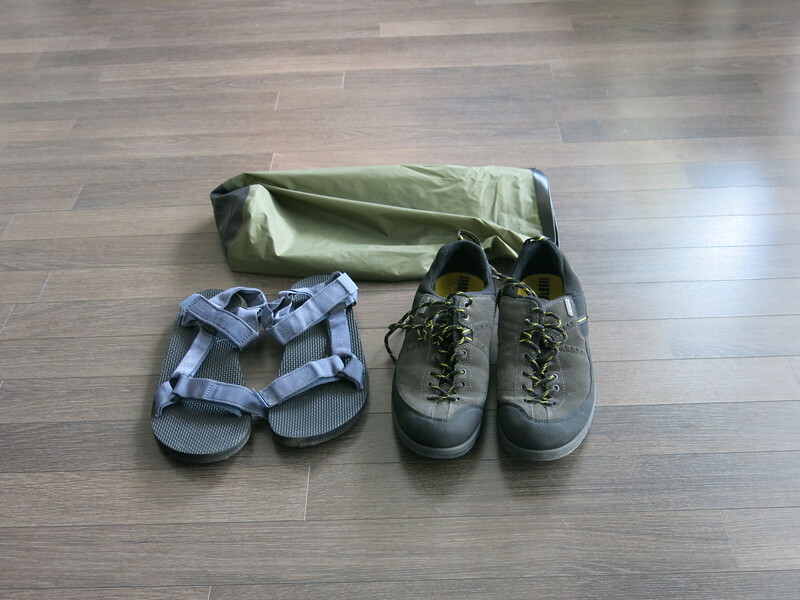 Besides my Sidi Adventure riding boots with their Phits insoles I only take a pear of Teva sandles and a pair of gore tex hiking shoes. That just leaves the washing gear. 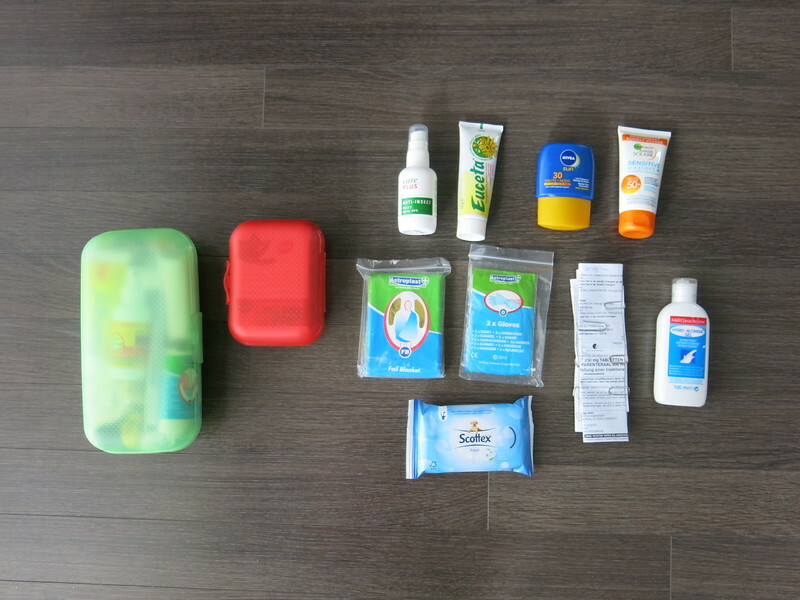 A bag with toothbrush, tooth paste, small travel bottles of soap and shampoo, shaving cream, shaving blade, emergency toilet paper, and some deodorant. 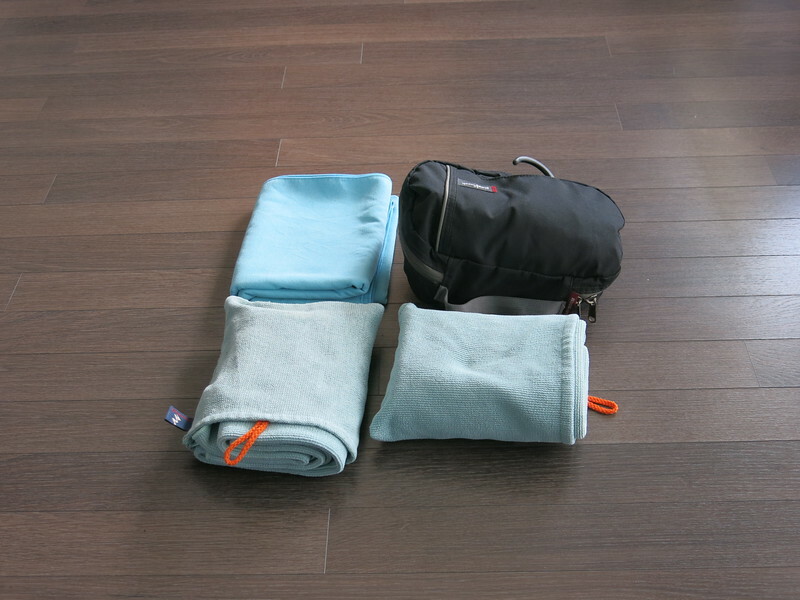 2 washcloths with accompanying towels and another towel that mostly just serves as a cleaning rag when the tent patio is dirty from mud or it also doubles as insulation underneath the air bed on very cold nights. All in all it packs down nicely and all fits into the Magadan saddle bags, which also contain our cooking gear and food supplies. 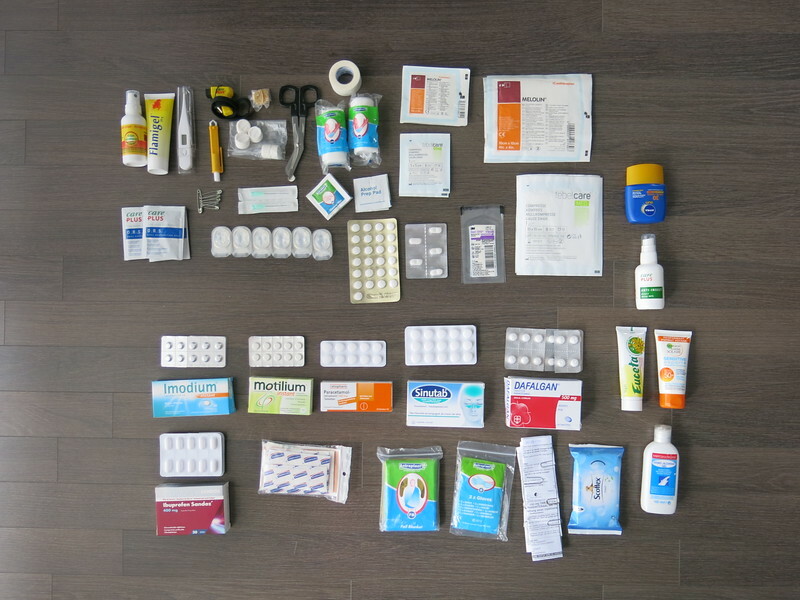 We’re also taking a rather comprehensive medical kit, which when packed as efficiently as Sofie does also takes up hardly any room.